hi guys,today we can getting unbelievable offers for wordpress interface.it this tutorial you can get more and more advance wordpress functions that also help you to making your own style wp theme or modify also.here we will discuss with some functions in this below section. 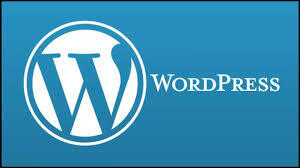 wordpress shortcodes make your site better and shortcut for when posting your articles or content.this functions always like and love all of wordpress developer,because the shortcode is the most popular and useful.if you want to make your own shortcode for your wp site,just find below code and tutorial for the wordpress shortcodes. wordpress required php for making useful functions.this is the most popular and powerful CMS (Content Management System),developers like the wordpress for ultimate functionality.this functions display custom message to returning visitors that you want.which author comment recently and return again,this functions also showing Hi ()user_name() welcome back! if you need this function to setting up in your wordpress theme just find below this function.you can found this with tutorial and code. well,custom content to search engine visitors functions in a powerful function that also help you to display your custom message or ad which traffic coming from search engine like google.maybe this function you can like,of-course it’s an unique function for wp developers.find this code and tutorial from below. this is an awesome function for automatically showing updated when you edit a post.this function automatically connect with database and showing current modify time and showing into a place there you want to use.default it placed on recent post in the author and view columns or table.really you want this code?want tutorial for setting up?find this instructions below and make your own functionality. display recent registered users,this is a important function for blogger that want to showing there visitors with public.it’s a useful code for showing users which registered recently to your site.need this code and tutorial?find below to surprise. To display private posts to your logged-in users, you will need to add a custom field called “private” for each private post and give it a value of “true”.it also help you to prevent useful post from public,only registered and logged users can see the post that you want to make private.if you need this function and code or instructions just scroll down and find it. it’s a most useful code that make your wp site seo friendly,because if you know what is seo you can do that imadiatly to your blog.and setting up your site descriptions and keywords for users “what type blog you run” how many users come in to your blog.it will monetize users from search engine optimization for the meta descriptions and keywords.no plugin needed,just find this code from below. at last it’s a special code that highlight author comments.when you are author and while a user comment on this post that you published.no affect attached on this time,but when you comment on this post,it will be highlight and looking special.so if you need this code and want tutorial for setting up just scroll down and find this section tutorial and code. welcome to this tutorial section,hope that you read this details above.so now just go to your wordpress admin dashboard and navigate from Appearance>>Editor>>functions.php file and copy past this below code. To create a shortcode for links, we need to include the href attribute information as well as the anchor text for the link itself. We can do this by placing this function in your theme’s functions.php file. we also discuss with this in above,so now just setting up this from wp admin dashboard,we can greet returning commentators with a custom message by extracting their information from the comment cookie left on their machine. Place the following code into the desired location in your theme and customize the message and markup to whatever you wish. After checking and editing the $SE array with the search-engine referrer information of your choice, place this next chunk of code into the desired display location in your theme files. Add whatever content or code you wish to the specified area and enjoy targeted delivery to search-engine visitors only. we was read this above,so it’s only setting up time.just place this code on wordpress loop where you want to showing this. Quick and easy method for displaying a list of recently registered users. Place the following code directly into your theme, wherever you would like to display the list. as-is, this code will spit out the five most recent registered users. This is easily changed to whatever number you wish by simply editing the number “5” in the first line. we was discuss for this above,just place this code into the loop or single post or anywhere there you want to do this for private post type visibility. we don’t need no stinkin’ plugin for custom meta descriptions. All you need is a custom field named “metadescription” with the desired meta description for each post. Once you have that going, include the following function to your theme’s header.php file (within the <head> section. Make your author comments look fabulous darling! Newer versions of WordPress come equipped with a specific “author” class that may be targeted with the CSS of your choice. For older versions of WordPress, however, you will need to add the custom class attribute with a little PHP magic. First, open your theme’s comments.phptemplate and add the following code snippet in the (X)HTML element that contains the comment information. After changing the email address to that of your own (i.e., the one used for your WP Admin user profile), style it up with a little CSS. You probably don’t want your author comments to appear with yellow text on a red background, but you get the idea. Anything is possible. For blogs with multiple authors, you can style each of their comments differently as well by using something like this. Replace each of the email addresses with those of the various authors. hope that this tutorial can help you.if you face any kind of problems just drop your comment.